Have you considered how you would like your assets distributed after you are gone? Who will make critical medical decisions for you if you can’t make those decisions yourself? What effect will federal estate, New Jersey estate and New Jersey inheritance taxes have on your estate? Have you thought about the tax burden that may fall on your loved ones after you are gone? You planned your life out well, but have you planned for your death? Do I want my life to be extended by life support or other artificial means if a medical event has left me in critical condition without any hope of recovery? Estate law provides answers to those type of questions, and is critical to ensuring that your wishes are carried out and that your loved ones are protected. The simple fact is, unless you create an estate plan you can’t do anything at you’re your estate will be divided up and distributed by someone you probably don’t know and won’t care what you wanted. 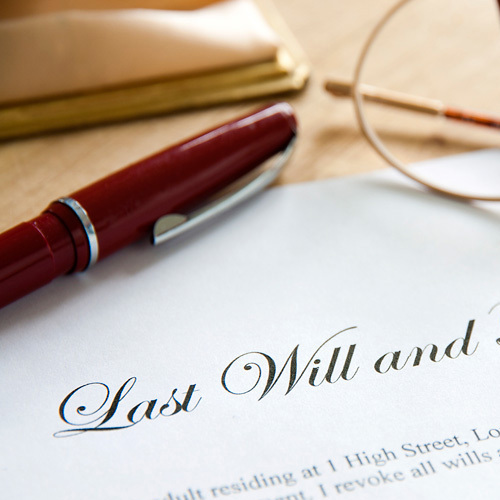 Without a plan, after your death, your assets will be distributed in accordance with the Intestacy laws of your State. To clarify, not creating a plan means you allow the laws of your State to govern your affairs and direct the distribution of your assets upon your death. How your assets will be distributed when you die. How financial decisions can be made for you during your lifetime. How medical decisions can be made for you if you become incapacitated. When talking to your attorney about an estate plan, you will discuss these important issues and create documents that describe how your assets will be distributed upon your death, who will make medical and financial choices for you when you can’t make them yourself and the tax consequences for your estate. Importantly, each situation is unique and has its own unique solution. Your unique considerations must be evaluated to devise an estate plan that is both appropriate for you, and enumerates your final wishes to ensure that your assets are well protected during your lifetime and beyond. To that end, an attorney at Radom & Wetter will guide through the process to create a unique personalized plan that suits both your needs, and the needs of your family. Unfortunately, every day people pass away with an inadequate Estate Plan, or no Estate Plan at all. At Radom & Wetter, we recognize that each client has their own story and financial situation. Whether your resources are modest, or your net worth sizable, minimizing your estate’s death tax exposure is paramount to ensure your heirs receive what you worked so hard to give. If you have a business, a solid, well-crafted Estate Plan is even more critical. We will listen to your goals and recommend a thoughtful, comprehensive plan that will serve you and your family’s unique needs. We will prepare a will for you to appoint guardians for your minor children and an executor of your will: a health care directive, which allows your spouse or other family members to make health care decisions for you, if necessary. When warranted, our attorneys will draft other documents to protect your interests and assets.